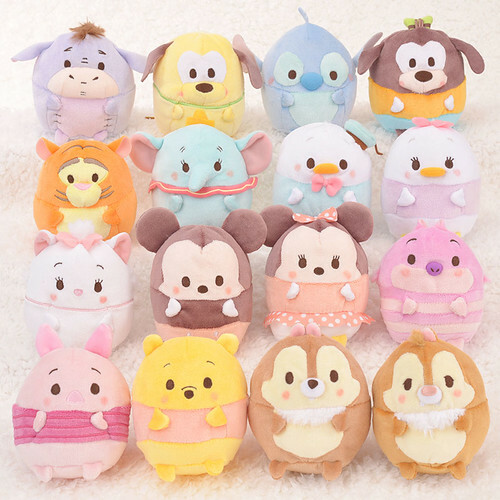 A new line of plush toys debuted in Disney Stores in Japan on November 3rd. Described as having been “born from clouds”, hence their incredibly airy feel and soft pastel colours, are Ufufys (pronounced as “oo-foo-fee”). A total of 16 variations are available. Each Ufufy stands at about 10cm and 10cm across. 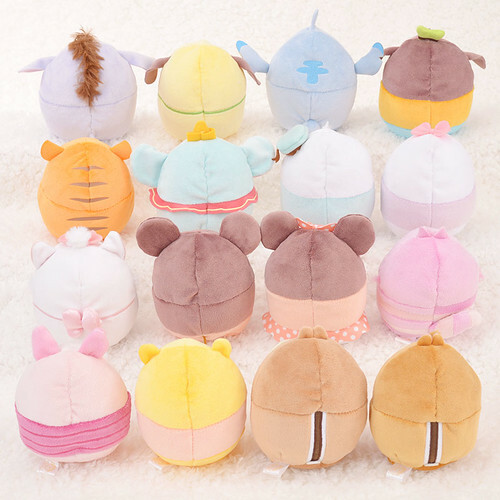 They are about 3 times larger than a mini tsum. 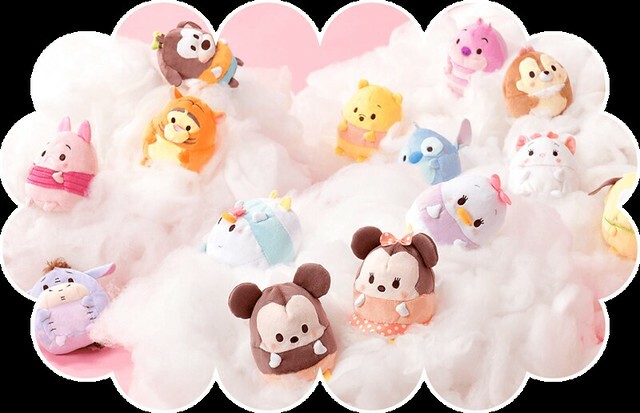 Unlike tsums, they don’t contain that many beans thereby making them quite light and puffy, which is fitting since they supposedly come from the clouds. These little bundles fit comfortably in your hand. In fact, this is where the name comes from. Since they plop so pleasantly in your palm, the sight of it will surely make you giggle, and the Japanese onomatopoeia for that giggle is “ufu“. Aside from being light and fluffy, all Ufufys bear a unique scent that is advertised as “flowering apples”. Personally, they smell a lot more like bubble-gum or candy compared to floral scents. For a little thing, it has great wafting power. Retailing for 756 yen each, these little plushies have already proven to be quite popular, having sold out in several stores across Japan.